Nostagia is in. 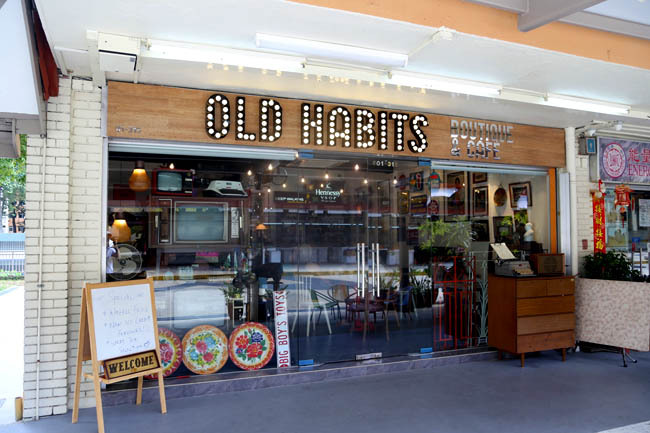 Old Habits is part vintage boutique and part café, a place to appreciate the lifestyle of the old eras and immerse in the memories of the past. 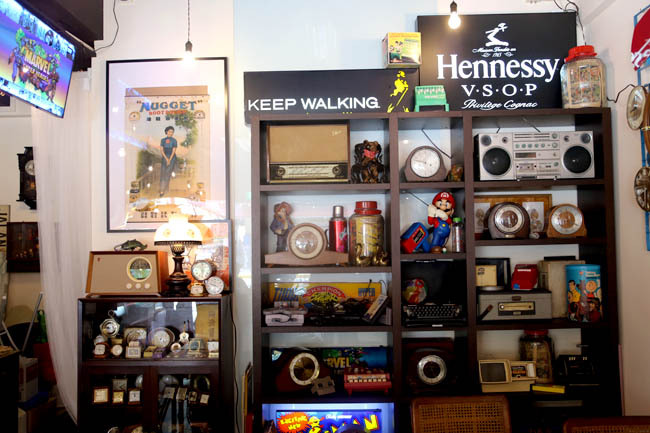 While having your cuppa, check out the classic items in the store which includes typewriters, gramaphones, vinyl records and vintage toys. 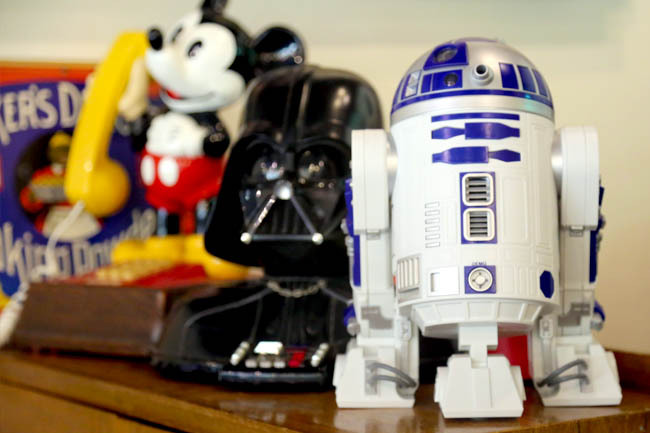 You can request to play for some, such as the favourite childhood toy View Master, which takes you on a memory trip back. 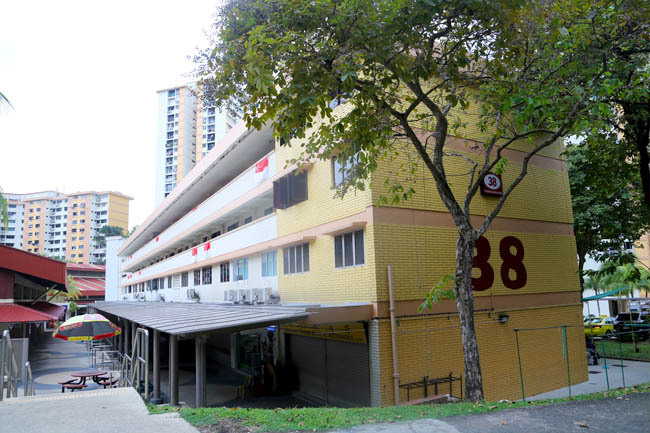 Getting to 38 Telok Blangah Rise for first timers may be a hard find, which my café hopping partner described as “somewhere in the wilderness”. We took a bus 272 from Bukit Merah Interchange. 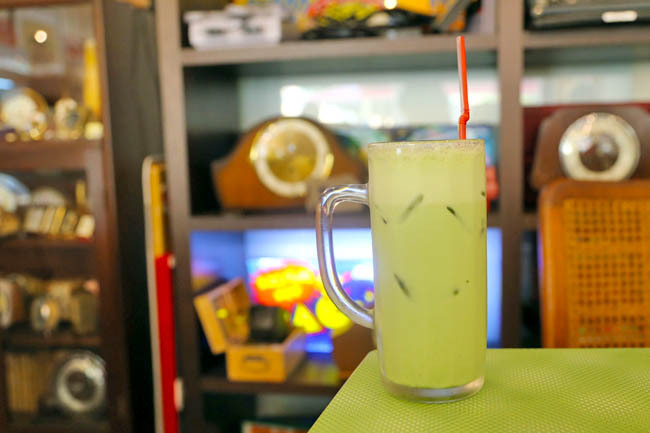 Recommended food and drinks include Coconut Kueh with French Vanilla Ice Cream ($6.50), Tiramisu ($7.50), Portobello Mushroom Sandwich ($13.50) and Popcorn Matcha Latte (Hot $5.50 or Cold $6.00). The mains (sorry Don and Selena) were rather ordinary though. 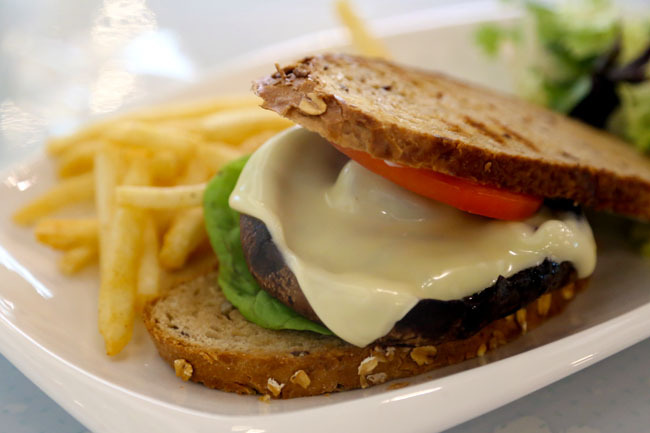 While Don recommended the Portobello Mushroom Sandwich ($13.50) – portobello and melted chest in toast, served with fries and salad, we all thought it could be better. The best part was the mushroom, though I felt it was let down by a substantially thin bread. 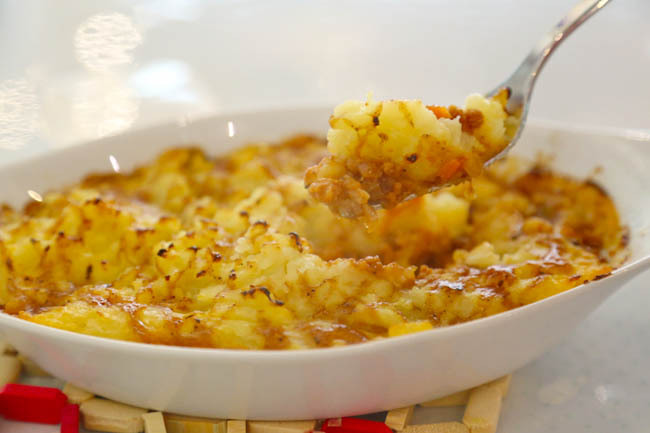 The Shepherd’s Pie ($12.50) with seasoned ground beef baked in mashed potato tasted rather ‘home-cooked’. My take is, it was not too bad, but with such increasing competition all around, café food must be distinctly different and better. 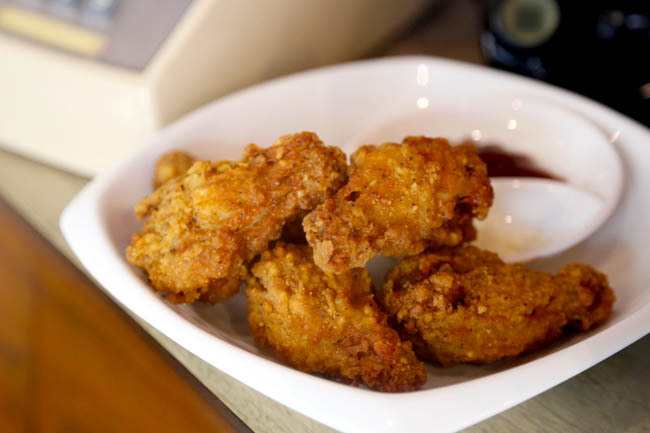 Finger food – the Crispy Hot and Spicy Drumlets ($7.00 for 5 pieces) and Waffle Fries drizzled with BBQ sauce and mayonnaise, could go well with the drinks. We all liked the Popcorn Matcha Latte (Hot $5.50 or Cold $6.00), without being too bitter, yet with a touch of familiar buttery popcorn tang. Old Habits is a very charming place, largely because the owners service with a heart. 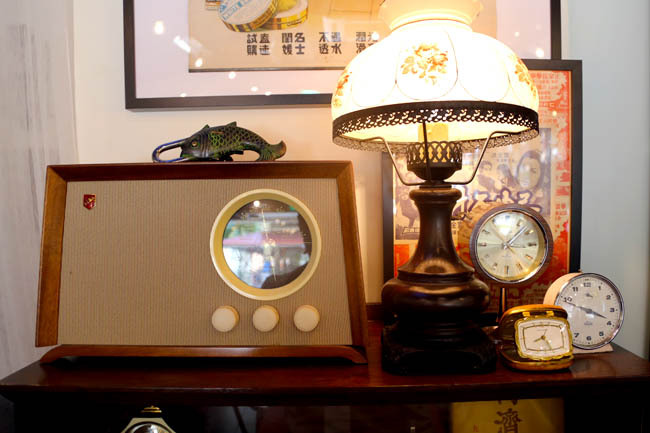 You can also appreciate the artifacts of the by-gone eras, and immerse yourself with the forgotten memories of the past. I have the feeling though, that the younger ones (below 30s) may not appreciate such a vintage cafe as much. This is the type of café to sit down and perhaps reflect on life. You can take 65 from Harbourfront too. 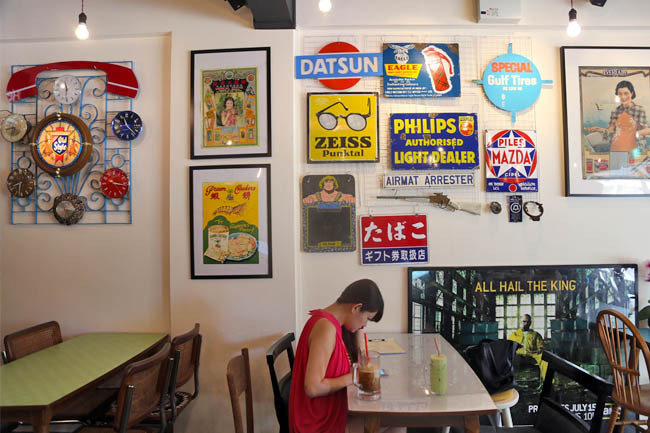 While I love the nostalgic touch, they do need to work harder to provide something different for their food menu…..
Have you tried the peranakan restaurant Makko Teck Neo at Blk 35? The food is quite decent. I am nowhere near here, so Peranakan not yet. I agree on the food menu, they could have worked their ‘old school’ theme somewhere in.